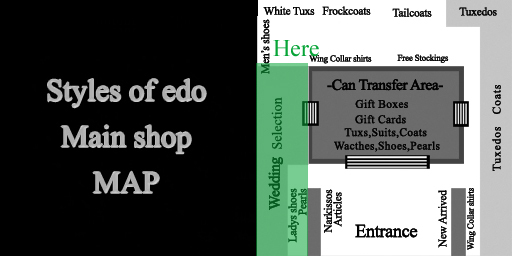 Posted in: Event, Fashionshow, Lady's clothing, Men's clothing, Men's shoes, Our SIM, Women's clothing. 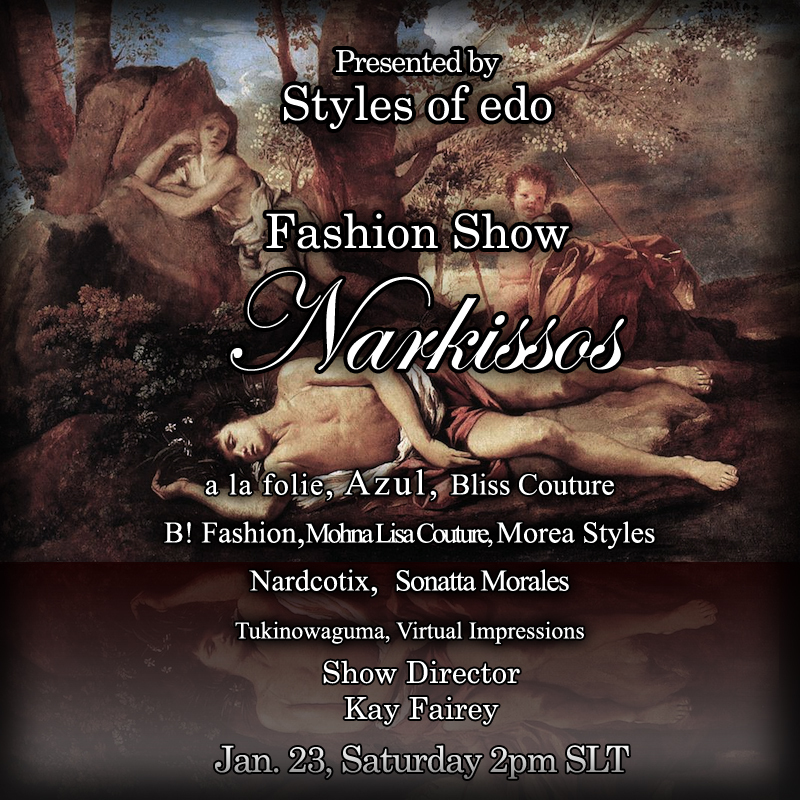 Tagged: styles of edo fashon show narkissos secondlife. Posted in: Women's clothing. 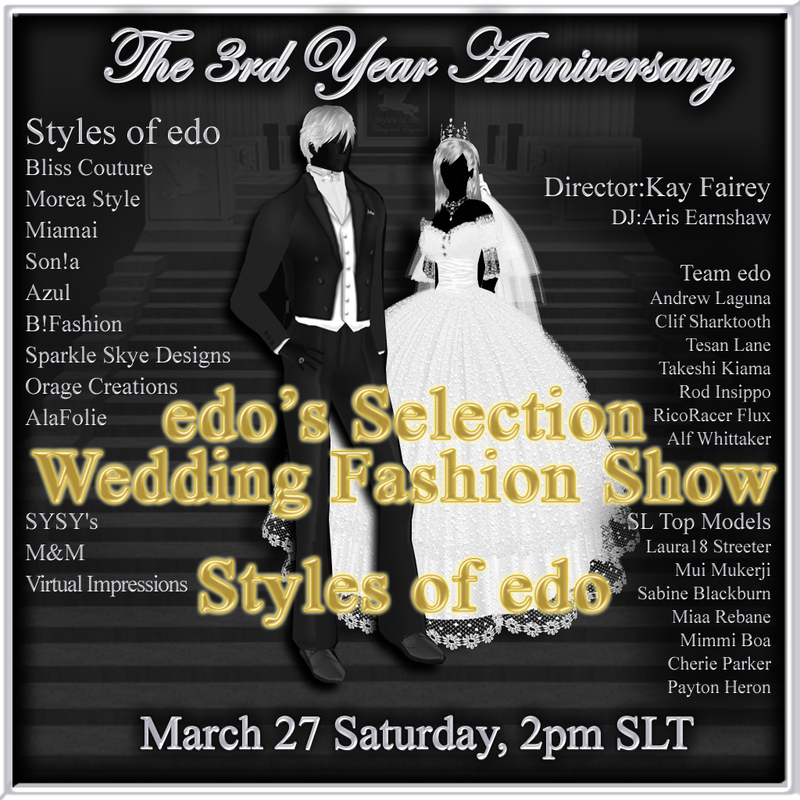 Tagged: jewely, Pearl, Secondlife, Styles of edo. 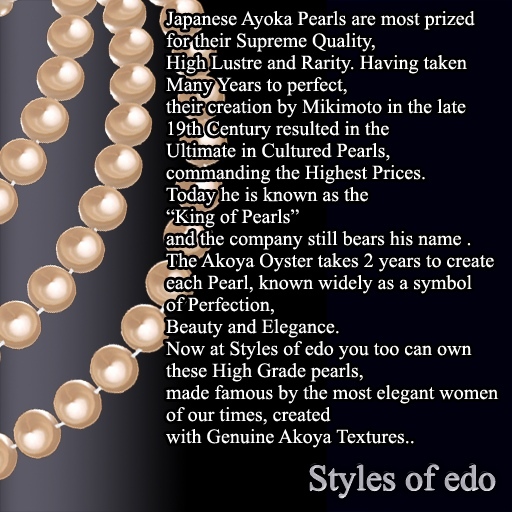 Virtual impressions made pearl collection for Styles of edo!